1 University of Maragheh, Faculty of Agriculture, Department of Soil Science, Maragheh, Iran. 2 Sahand University of Technology, Mining Engineering Faculty, Tabriz, Iran. 3 University of Tabriz, Faculty of Agriculture, Department of Soil Science, Tabriz, Iran. 4 Monash University, Faculty of Engineering, Department of Civil Engineering, Melbourne, Australia. 5 University of Tabriz, Faculty of Agriculture, Department of Water Engineering, Tabriz, Iran. Soil moisture determination plays a major role in water and crop management. 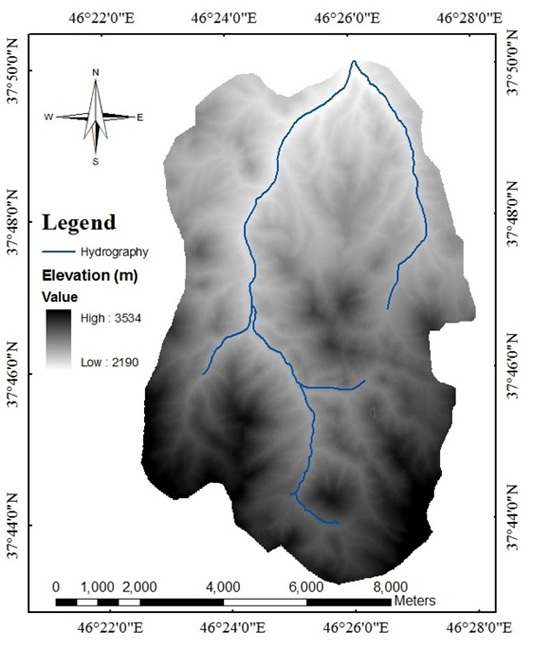 In this research, the accuracy of the Triangle Method (TM) was evaluated to predict surface soil moisture content using Moderate Resolution Imaging Spectro-radiometer (MODIS) satellite images with 1km resolution. The investigation was carried out within an area of 76 km2 in Lighavn watershed in East Azerbaijan, North West of Iran. The analysis was based on ground measurements of soil moisture at 225 points (45 pixels) across the catchment on 2 different days. Ground measurements from the first day were used to train the models, while those from the second day were used for validation. A range of polynomial regressions from 1st to 4th orders were established between the ground measured soil moisture and MODIS Normalized Difference Vegetation Index (NDVI) and Land Surface Temperature (LST). The best results were obtained for the 4th order polynomial of the TM with the efficiency error (ER) and adjusted determination coefficient (R2adj) criterions, respectively, equal to 11.0% and 0.63 for calibration and 15.9% and 0.60 for validation stage. Therefore, the TM was found to provide reliable estimates of soil moisture, without the need for prior information of the soil surface roughness or the vegetation type and water content. 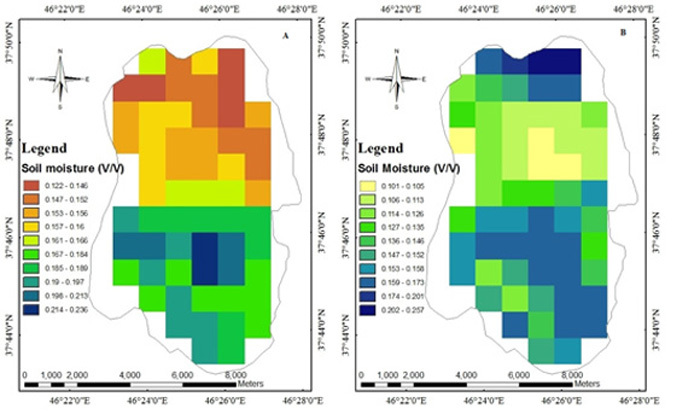 Soil moisture is an important parameter for the Soil Water Balance Equation (SWBE) at global, regional, and local scales, including quantification of its components (infiltration, surface runoff, evapotranspiration, and deep percolation), and exchanges in the vadose zone (Davenport et al. 2005). Soil moisture is often referred to as surface soil moisture, meaning the water in upper 10 cm layer, or root zone soil moisture, meaning the water in the upper 100 to 200 cm of soil (Wang and Qu 2009). Importantly, soil moisture affects human health and plays an important role in agriculture, economic, military, and transportation activities (Serrano 2010). Therefore, sustainable agriculture and water resource management need accurate information of the surface soil moisture. For example, low soil moisture for sustained periods results in drought and plant water deficit, potentially leading to wild fire (Serrano 2010). Conversely, high soil moisture leads to increased risk of flood. Moreover, evaporation rate which is strongly correlated to soil moisture makes a strong connection between land surface and atmosphere (Guo et al. 2005). Therefore, information about the spatial patterns of soil moisture at regional scale can helps to predict storms, the occurrence of frosts and heat waves, and the likelihood of limited vision due to thick fog (Serrano 2010). In addition to traffic-ability of tanks and visibility for jets, soil moisture is important for range of other military applications, e.g. the calculation of density altitude for determining the lift capacity of aircraft[*]1. Direct observations of soil moisture are currently limited to measurements at specific locations. Moreover, such point-based measurements do not represent the spatial distribution of soil moisture, since it is highly variable both spatially and temporally (Engman 1991; Wood et al. 1992). However, technological advances in satellite remote sensing have offered a variety of approaches (Shi et al. 1997, Wen et al. 2003; Das et al. 2008; Van doninck et al. 2011) for measuring soil moisture across a wide area continuously over time. Empirical approaches construct functional relationships between measured variables, while the theoretical ones apply complicated scattering phenomena from probabilistic models of soil, vegetation, and terrain (Ahmad et al. 2010). Remote sensing, consequently, provides an opportunity for routine monitoring of soil moisture across large scales (Wang and Qu, 2009) as well as vegetation moisture content (Castro et al. 2014). Wang and Qu (2009) have classified techniques for the remote sensing of the near-surface soil moisture into 1. visible, 2. thermal infrared, and 3. microwave techniques. Microwave techniques, including radiometer (passive) and radar (active), are currently the preferred approaches for soil moisture remote sensing due to their all-weather capability and stronger relationship with the soil water content. While the more easily interpreted radiometer data is coarse and needs to be downscaled to be used for many of the applications discussed above, the radar data are infrequent through time and are very difficult to interpret, primarily due to need of ancillary surface roughness and vegetation information (Wang and Qu 2009). Although visible and thermal infrared are affected by clouds, they have fine spatial resolution and can be easier to interpret than radar (Wang and Qu 2009). The thermal emission has a wavelength region between 3.5 and 14 µm (Curran 1985). Remote sensing of the surface soil moisture using optical data relies on either the use of thermal observations alone (Schmugge 1978; Friedl and Davis 1994), or in combination with vegetation indices (Chauhan et al. 2003). The Triangle Method (TM) is categorized as a thermal infrared technique (Wang and Qu 2009), and uses both Land Surface Temperature (LST) and the Normalized Difference Vegetation Index (NDVI) for remote sensing of the surface soil moisture using the Moderate Resolution Imaging Spectro-radiometer (MODIS) satellite images with 1 km resolution data. The TM was first introduced by Price (1990) and then elaborated upon by others (Carlson et al. 1994; Carlson et al. 1995; Gillies and Carlson 1995; Lambin and Ehrlich 1996; Gillies et al. 1997; Owen et al. 1998; Jiang and Islam 1999, 2001, 2003; Chauhan et al. 2003). The TM method has been verified by different investigations (Gillies et al. 1997; Carlson 2007; Wang et al. 2007; Mekonnen 2009) showing a good performance (with R2 varying between 0.6 and 1.0) to predict soil moisture. 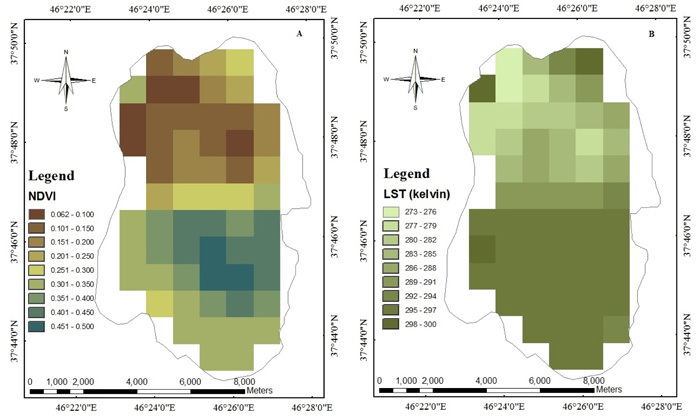 Due to the encouraging results of the recent studies, this paper explores the use of the TM method using 1km resolution MODIS data for the unique soil, vegetation, and weather conditions in North Western Iran. where aij is the regression coefficient and the superscripts i and j imply the degree of the polynomials that are chosen for the regression. 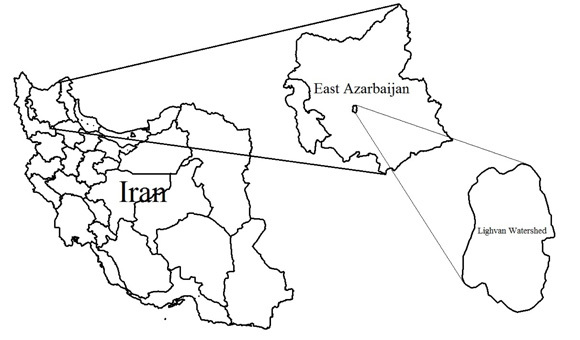 The study was conducted in the Lighvan watershed, East Azerbaijan, located in North Western Iran (Figure 1). The watershed is located at the Sahand Mountain with latitude 37° 43' 07" to 37° 50' 08" N and longitude 46° 22' 23" to 46° 28' 05" E. The Lighvan watershed has an area of 7,854 hectares and an elevation varying from 3,534m in the uplands to 2,190m at the watershed outlet (Figure 2), with an average precipitation of 320 mm per year. Nearly all parts of the study area have coarse textured soils at soil surface (0-10 cm) consisting of loam, sand, sandy clay loam, sandy loam, and silt loam texture classes (Figure 3-A) (Rahmati, 2014). 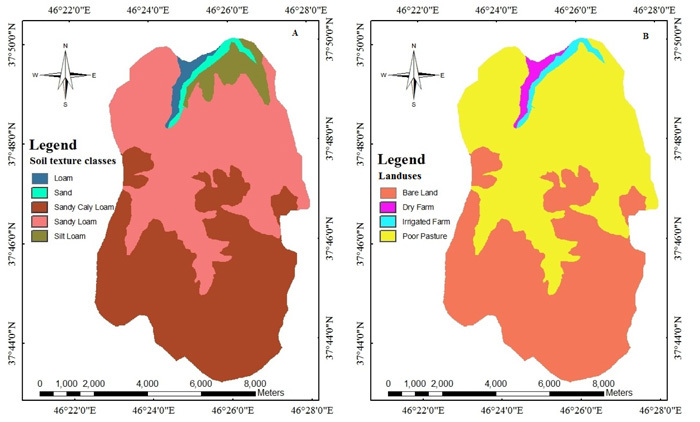 The major part of the study area consists of bare land (46%) and poor pasture (42%) land-uses (Figure 3-B) (Rahmati, 2014). Irrigated and dry-land farming covers only 12% of the area (Rahmati, 2014). For sampling purposes, the study area was divided into 1 square kilometer pixels (the same as the MODIS resolution), and soil samples were collected from the 0 to 15 cm surface layer in each pixel. In total, 225 soil samples were taken from 45 out of 60 complete pixels for volumetric soil moisture determination. In other words, five samples were collected for each pixel and a simple mean was used to combine samples to produce an estimate for each pixel. Figure 4 indicates the location of the sampled pixels and the sampling strategy for each pixel. The Sampling was randomly repeated in two different days (11-June-2012 and 18-June-2012) with the first day,s data used to calibrate the polynomials and the second day,s data for validation. No rainfall occurred during the period 11-June till 18-June 2012. The MODIS sensor is located on the Aqua and Terra satellites, having both day and night overpasses. Aqua and Terra products of MODIS were downloaded from the MODIS Adaptive Processing System (MODAPS) through Level 3 and Atmosphere Archive and Distribution System (LAADS) at http://ladsweb.nascom.nasa.gov. MODIS/Terra and its official LST (MOD11A1) and NDVI (MOD13A2) products were selected for analysis in this investigation, due to being less cloud affected than Aqua (Mekonnen 2009). Although, the MODIS data of the study area on 11-Jun-2012 and 18-Jun-2012 were needed to fulfill this research, the data acquired on 9-Jun-2012 and 15-Jun-2012, respectively, were used due to being cloud free. There was no rainfall between days 9 to 11 and 15 to 18 of Jun-2012 to affect soil moisture content significantly. In this research, the 1st to 4th order polynomials were calibrated for their predictive skill in estimating soil moisture by the TM method, using MODIS images as input. 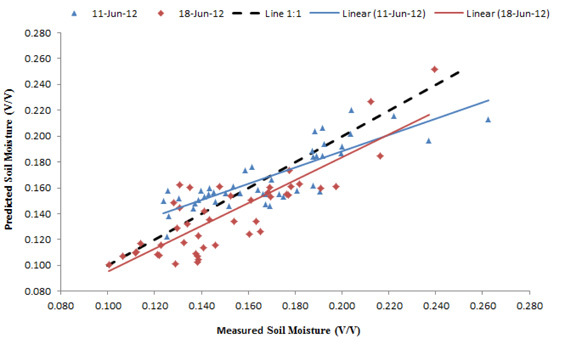 The ground measurement of soil moisture was carried out on two different days, being the 11th and 18th June 2012. The measured data on 11th June were used to calibrate polynomials, while data on 18th June 2012 were used for validation. The MODIS NDVI and LST products of days 9th and 15th June 2012 were used instead of 11th and 18th June 2012, respectively, since the obtained data of 11th and 18th June 2012 were cloud affected. In this case, we assumed that the measured soil moisture on 11th June was correspond for 9th June and those measured on 18th June was correspond for 15th June due to inconsiderable change in soil moisture during one or two days. where T is the observed value for each pixel, while subscripts max and min imply the maximum and minimum values, respectively. Finally, polynomials were reconstructed between measured soil moisture and the NDVI* and T* information extracted form MODIS data to check elevation effects on polynomials evaluation. where Mi,Simand Mi,Obs are the simulated and measured soil moisture at point i, is the mean of measured soil moisture, and N is the number of measurements. Statistics of the ground measured soil moistures for two sampling days are reported in Table 1. There was no rainfall event between two sampling days, with and approximately 0.02 cm3cm-3 decrease in soil moisture accordingly. 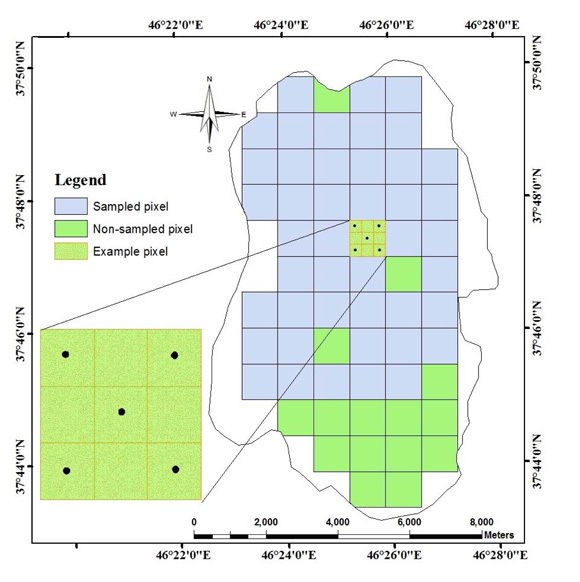 The NDVI and LST maps of the study area on 9th June are depicted in Figure 5 and their statistical parameters for both sampling days reported in Table 1. According to the Table 1, the day time average of the LST for 9th and 15th June 2012 were 288.11 and 277.63K, respectively. Table 1 also reports that the average NDVI for sampling days were 0.254. The results of polynomial evaluation for both calibration and validation stages are listed in Table 2. The outcome showed that an increase in the order of polynomials has resulted in a better prediction of the soil moisture. The 4th and 1st order polynomials possess the highest (RMSE=0.019 cm3cm-3, ER=11%, and R2adj=0.63) and lowest (RMSE=0.022 cm3cm-3, ER=13%, and R2adj=0.48) accuracies for the calibration stage, respectively. Each polynomial consists of (n+1)2 regression coefficients, in which n implies the order of the polynomial. So any increase in polynomial order results in a higher number of regression coefficients. Consequently, the higher number of the regression coefficients will require a better training for polynomials. Results of the other investigations (e.g. Carlson 2007 and Mekonnen 2009) show that the higher order the polynomial, the better accuracy of soil moisture prediction, which also consistent with this study. The best performance for the validation stage (RMSE=0.024 cm3cm-3, ER=15.85%, and R2adj=0.60) was also for the 4thorder polynomial. However, results of the 1st, 2nd, and 3rdorders polynomials showed that measured soil moisture had the best correlation with the 3rd order polynomial prediction (R2adj=0.59 vs.R2adj=0.02 and R2adj=0.37), while the RMSE and ER criterions had the best agreement with the 2nd(RMSE=0.026 cm3cm-3and ER=16.96%) and 1st(with RMSE=0.034 cm3cm-3and ER=22.53%) order polynomials, with the worst results was for the 3rdorder polynomial prediction (with RMSE=0.036 cm3cm-3 and ER=24%). Consequently, the 4th order polynomial is proposed for further investigation in the region. The regression coefficients of the 4th order polynomial adopted from the calibration stage are reported in Table 3. The simulated soil moisture maps using the 4th order polynomial are also demonstrated in Figure 6 for both calibration and validation stages. Cross correlation of the measured and simulated soil moistures using the 4th order of polynomial for both calibration and validation stages are depicted in Figure 7, showing a satisfying correlation (calibration R2=0.840 and validation R2=0.829) with measured data. Although, the range of the applied data in this research is restricted (one small catchment and 2 sampling days), the results are encouraging. Gillies et al. (1997) estimated soil moisture using TM method and multispectral measurements with standard errors of 16 per cent compared to measured soil moisture. Wang et al. (2007) also executed a 2nd order polynomial of the TM method to estimate soil moisture with a wide range of data (using 93 ground stations data) in eastern China, reporting an R2 greater than 0.6 between measured and estimated soil moistures for 82 out of 93 ground stations and greater than 0.7 for 71 out of 93 ground stations. Mekonnen (2009) also applied a 3rd order polynomial of the TM method in northwest Ethiopia using a wide range data from 9 different days of ground measurement, with an R2 greater than 0.7 and RMSE of 0.045. Since the topography of the study area is irregular and rough, terrain effects on simulated soil moisture were evaluated. Potential surface temperature was used to correct the topographic effects on simulated soil moisture. 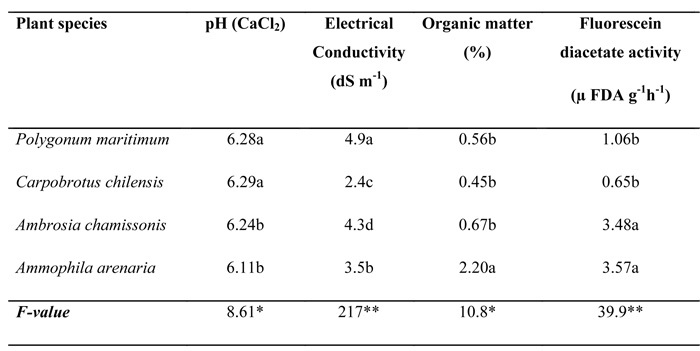 The evaluation results of constructed polynomials among soil moisture, NDVI*, and T* are reported in Table 4. Although applying potential temperature T instead of LST resulted in a better validation of 3rd order polynomial (RMSE of 0.033 vs. 0.036 cm3cm-3 and ER of 21.7 vs. 24.0 %), the other polynomials (1st, 2nd, and 4th orders) showed no sensitivity to the substitution of LST by potential temperature. Contrary to the results of this paper, Mekonnen (2009) showed that the elevation correction resulted in better prediction of the soil moisture. This is possibly due to small size (≈ 80 km2) and reduced elevation variation (1200 m) of the study area used here in comparison to his study area (≈ 1768 km2 and 1900 m). The 4th order polynomial of the TM method using MODIS satellite images was shown to predict the soil moisture with R2adj=0.63, RMSE = 0.019 cm3cm-3, and ER = 11% for calibration; R2adj=0.60, RMSE = 0.024 cm3cm-3, and ER = 16% for validation. Applying potential temperature T instead of LST to correct for the terrain effects on the TM method performance showed no improvement on the method's efficiency. The good results obtained from the current research suggest that the method warrants evaluation at larger scale, with more field sampling data across a wider range of conditions.